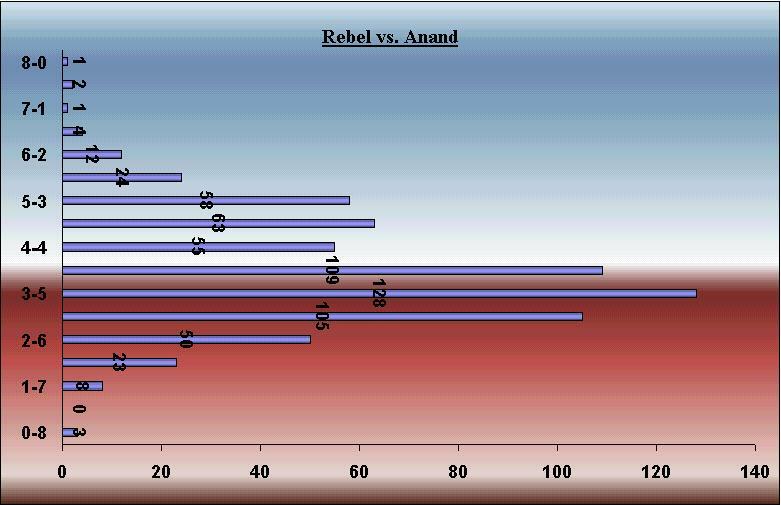 On this page you can view the the input we received till July 20 1998 from the Rebel versus Anand Match Prediction Contest. Results are presented in number of predictions and percentages. By clicking on the above pictures you can view the general public opinion concerning the status of Rebel about its chess strength when meeting the World Human Chess Top. Total number of received predictions is 650. 29% of people expected a clear win for Vishy Anand. Only 7% expected a clear win for Rebel. 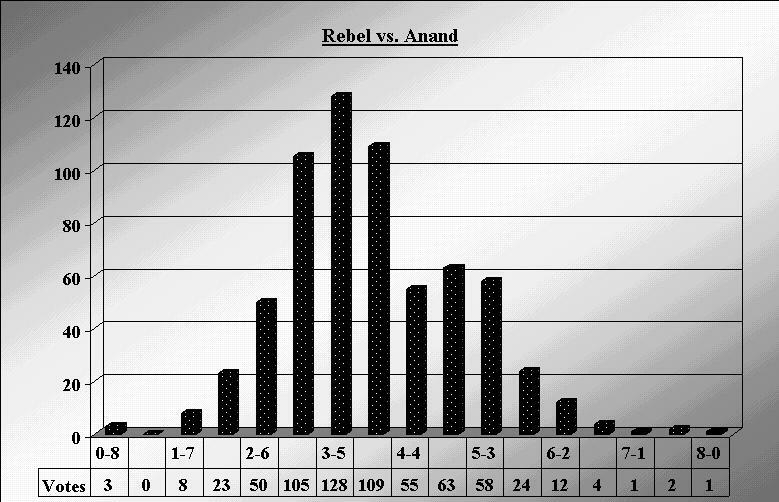 65% of people expected Anand to win the Match. Still 25% of people predicted Rebel to win.